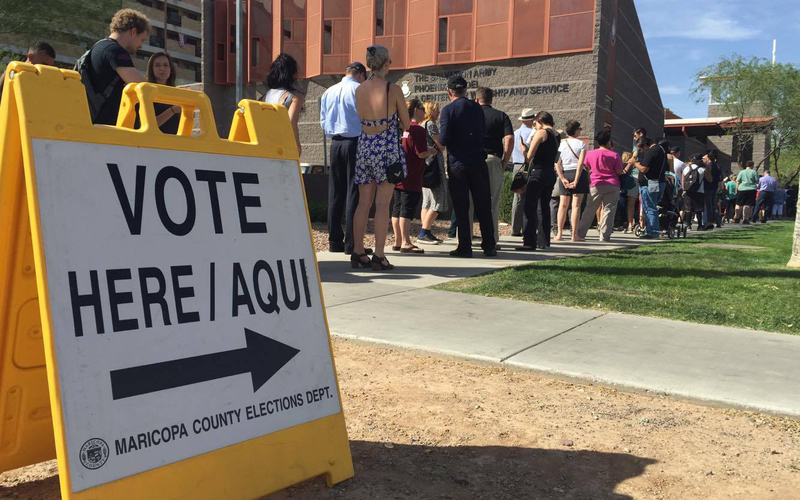 We should not think of Democratic officials only in AZ cheating. Republicans have decades of talking points and research against Hillary, and they want to run against her. They didn’t want to run against a squeaky-clean relative newcomer to the national spotlight who might challenge Hillary and win, because that would be a sure sign of GOP defeat. So in other words, in GOP controlled states, there may have also been strategy and cheating to make sure Hillary would be the eventual nominee. In fact the official in charge in Maricopa County admitted the whole thing was her fault. She’s GOP. But if GOP prefers to run against Hillary, why have they spent 25 years trying to destroy her? >But if GOP prefers to run against Hillary, why have they spent 25 years trying to destroy her? Because running against a destroyed candidate is preferable to running against a squeaky-clean candidate. Oh, of course. In 1991 they foresaw her future cadidacy & so began to smear her. Why didn’t I see that? I’m not quite getting your point – are you now saying that they *haven’t* been trying to destroy her “for the last 25 years”? I haven’t been counting – but it seems like they were already picking on her back when Bill was prez. Her political ambitions have been evident for some time. U think when her husband ran for president the GOP knew she would run someday even tho no 1st lady ever ran for office before — so they began smearing her then so she’d be a damaged candidate? There have been rumors of her candidacy for some time. Earliest documented statement was at least 1994, so that’s twenty-two years. Checked ur link. If I recall it correctly, in 1992 a few fans thought she should run instead of Bill. After that only reporters asked if she might, until 2000, when a Republican first suggested her senate run was a steppingstone to the presidency. Why I think they’ve smeared her for 25 years is simply that it was a continuation of the GOP perpetual campaign strategy begun by Reagan’s team & picked up by Ailes, Limbaugh, Gingrich, & their ilk. Focus on Bill & Hillary was logical outgrowth once they became the most prominent Dems. If it gets repeated enough, even smart ppl will believe it.